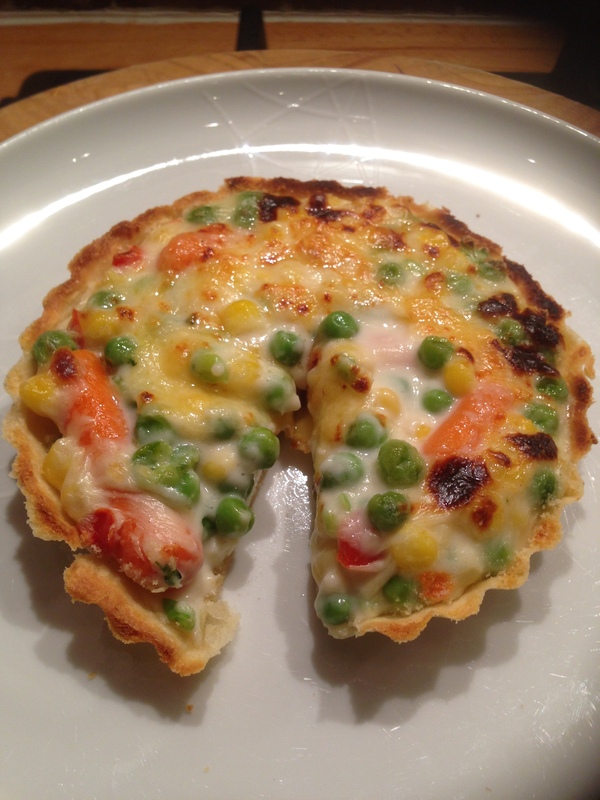 I made the cheese and vegetable tart a few weeks ago and this is pretty much the same recipe except it’s called a flan and has a boiled egg added! 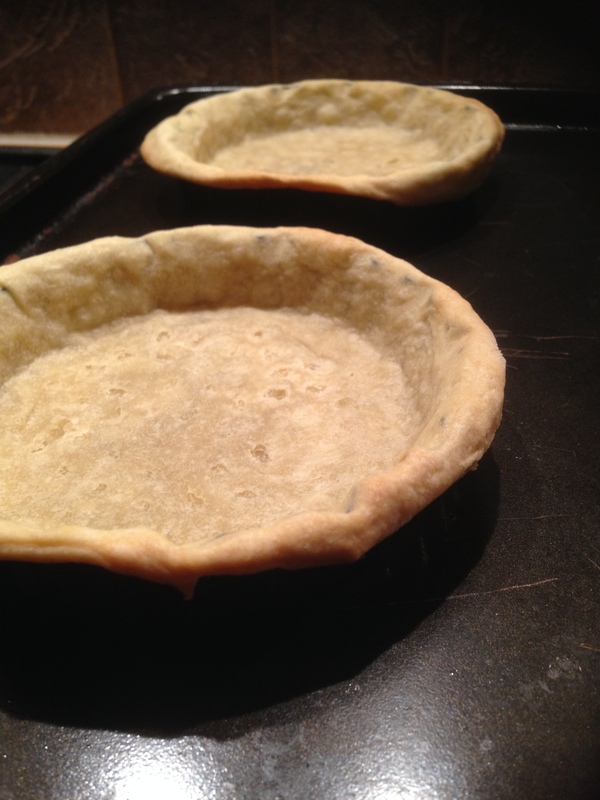 I started by making the pastry and left that to chill in the fridge before lining two mini tart tins. I had made the full 4oz of pastry and plan to use any leftovers for mince pies! They were baked for about 15 minutes until lightly golden.. I don’t think there’s anything more tedious than peeling a boiled egg. 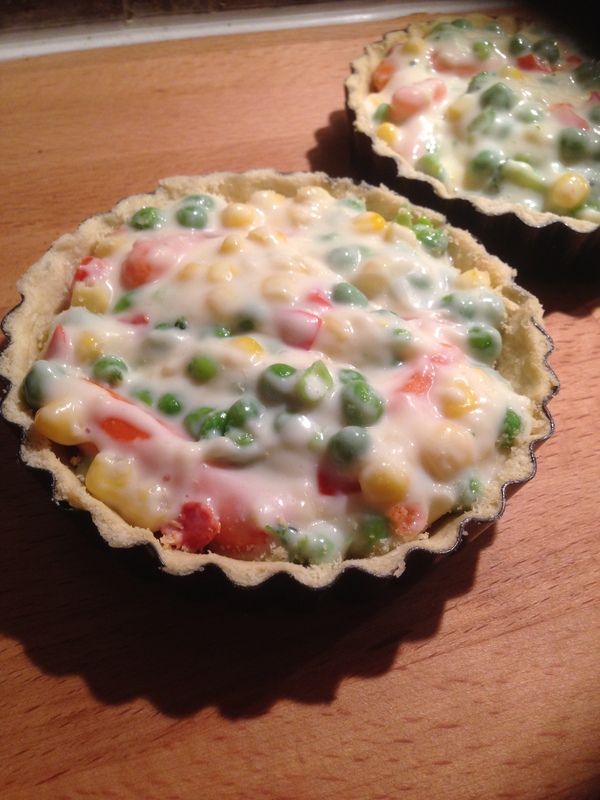 Am sure I’ve seen a tip or gadget somewhere that can make it quicker and less annoying, anyway I only boiled one egg for the two tarts/flans and that was sliced and into the tins. 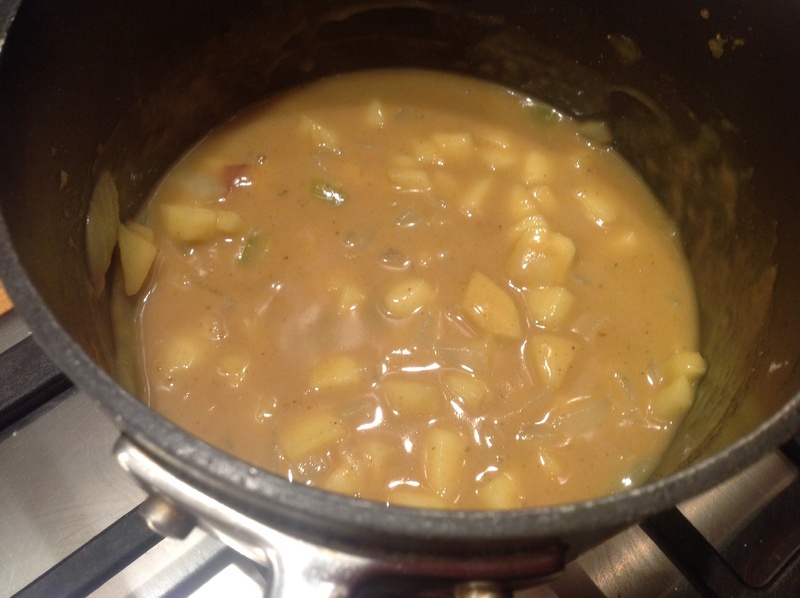 Next I made the white sauce which was then mixed with the veg, I didn’t use half a packet as my packet is pretty big, I just cooked about a mug full. That was all added to the cases.. 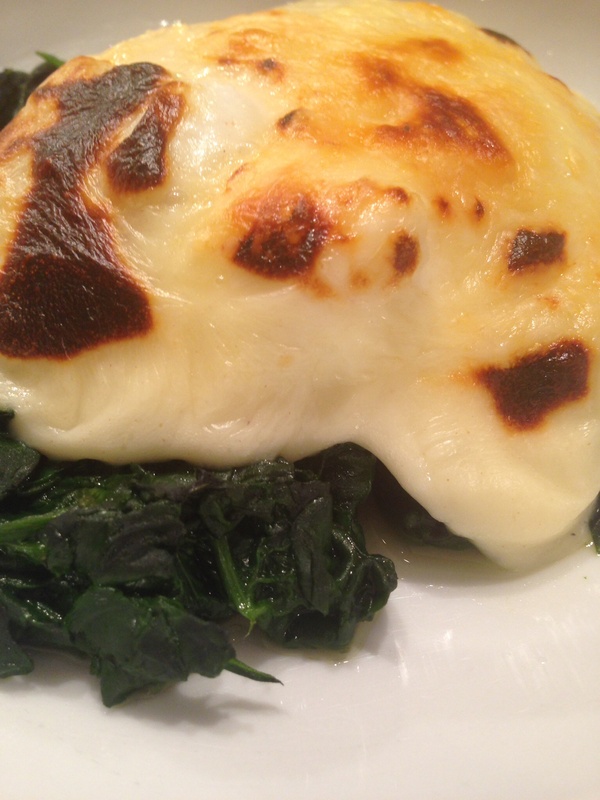 They were topped with more cheese and then under the grill for about 5-7 minutes until they were bubbling and browned.. 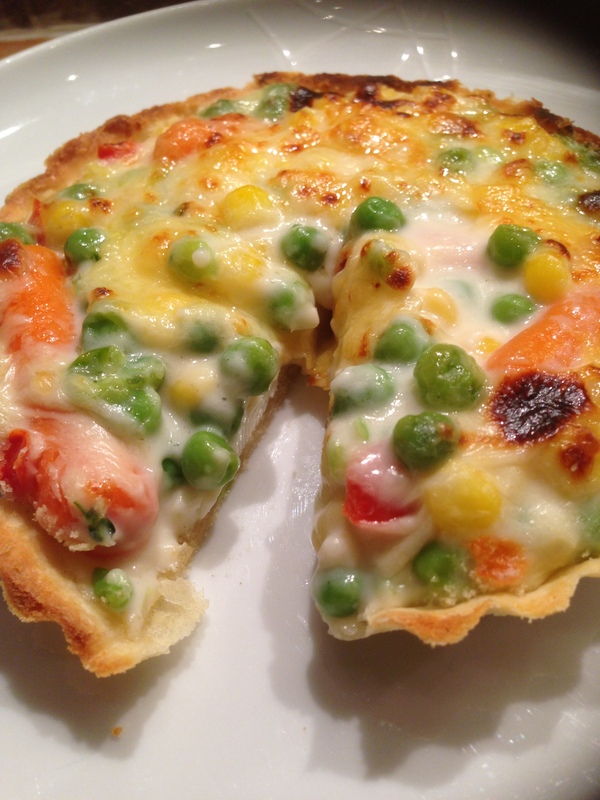 So how did this compare to the cheese and veg tart? Well it’s pretty much exactly the same except with the egg! I don’t think I made quite as a good job with my pastry and it wasn’t as crisp as I would’ve liked! The egg in its alright but kind of gets lost, am thinking I maybe should’ve put a whole egg in each one. Would I make this again? Probably.. I do really like a baked potato and it has to really super soft inside with a crispy skin. Usually for speed I microwave them first and then finish off in the oven to crisp up the skin. 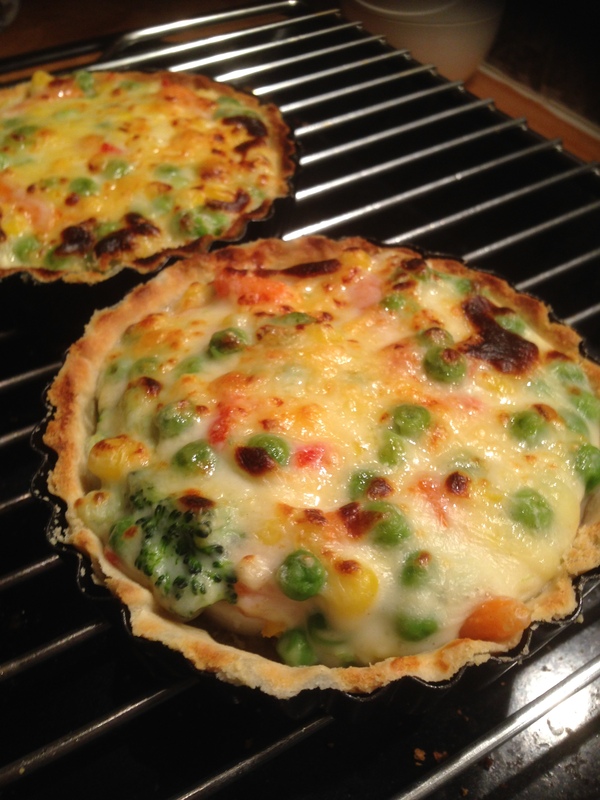 For this recipe it’s all done in the oven so does take a while. 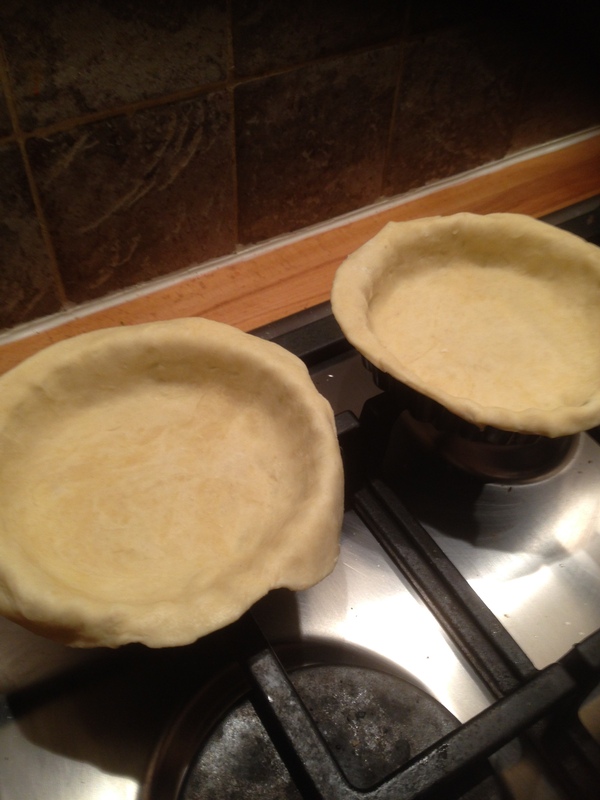 I was using my large Yorkshire pudding tin to cook them and first cut a circle in the top.. I think I had these in the oven for pretty much two hours.. The inside is scooped out and I did end up eating the crispy lid that had been cut out! Then I mashed the insides with some butter, milk and seasoning and spooned some of that back in to each potato..
Then comes the unusual step of cracking an egg and pouring into each potato..
After about 15 minutes the egg was looking set.. I then quickly piped on the remaining potato, and perhaps could’ve made a slightly neater job!! After only a few minutes under the grill the potato was browned and the egg had puffed up a bit more.. So this was dinner, an egg stuffed baked potato with a beetroot salad and Turkey escalope! I tried really hard to get a decent photo of the inside but it was getting dark and I’m rubbish at good photos, but I do think it looks quite good inside!! So how does it taste? It’s a good baked potato, lovely soft flesh and really crispy skin. The egg is very unusual but in a good way and I actually quite enjoyed it! Would I make this again? Yes! I made the souffle omelette a while ago and that also involved separating the eggs but was started on the hob and then finished under the grill, this one is all cooked in the oven.. 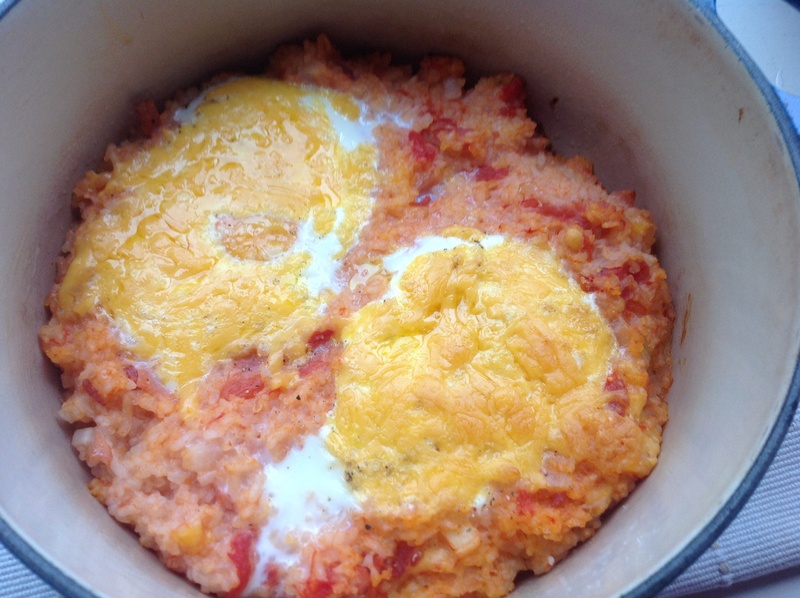 I was making this for my breakfast so I thought one egg was a bit stingy so opted to half and make with two. First off the yolks are whisked..
Then the almonds and water are added which seems very unusual..
Then I whisked the egg whites.. I greased one of my bowls and then swithered over using jam or not, it just all seems very weird! I have some homemade rhubarb and ginger jam so I decided to try it and hoped I wouldn’t regret it!! I folded the yolks and whites together and then gently poured into the bowl..
After 20 minutes in the oven it’s a nice golden colour and has puffed up a bit, maybe not as much as I’d expected.. I sprinkled a little sugar over the top and this was breakfast.. I was a little unsure about this, but I ate the whole thing and actually quite enjoyed it!! The texture is nice, really soft and light.. The jammy layer is oddly quite nice, but it’s the almonds that’s the weirdest bit! Would I make this again? Yes I would! 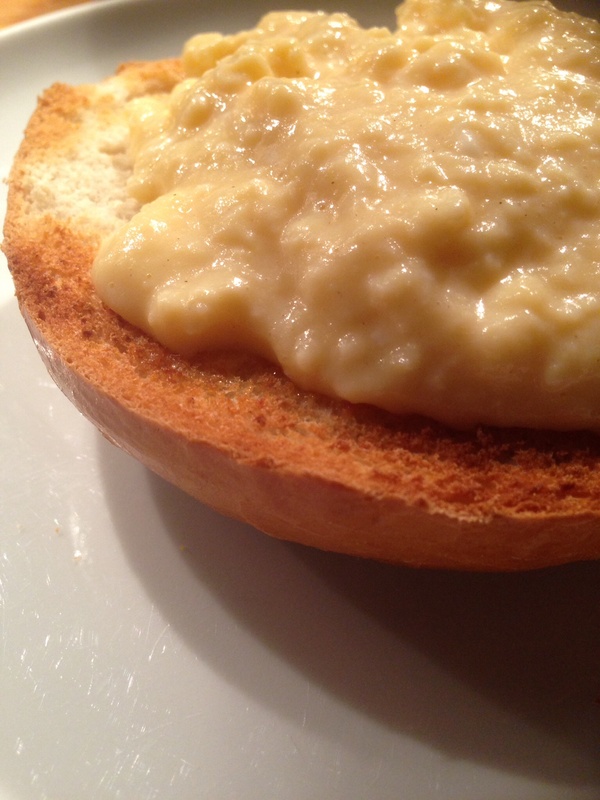 So yes there is an actual recipe for scrambled eggs, and considering this is my least favourite egg variation I very rarely cook them like this so do need this recipe!! 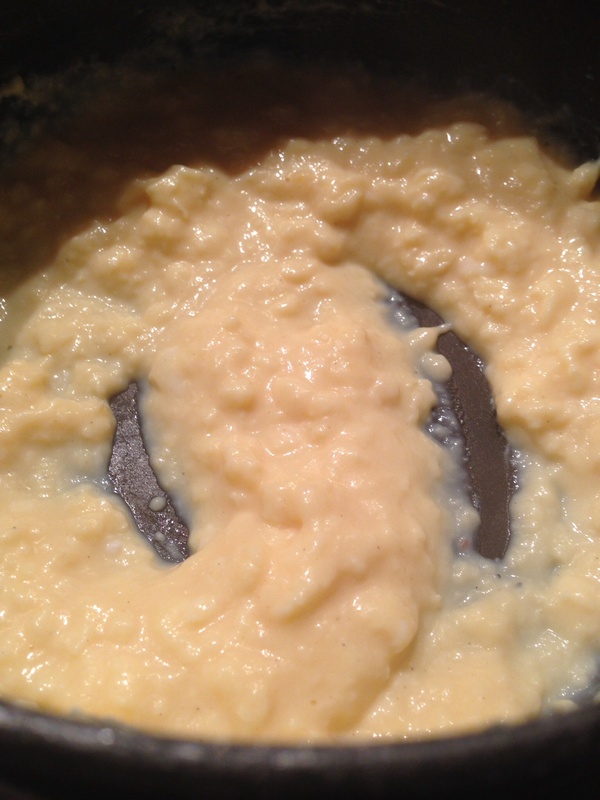 On the very rare occasion that I have attempted to cook scrambled egg I have just whisked some milk and eggs together and then beaten in a pan with melted butter until completely overcooked and watery! Every time it’s been disgusting!! So this recipe has a slightly different technique so am hoping for better results! I only used 2 eggs to make for me. I started by heating the milk and butter, only needed a quarter of a quarter of an ounce of butter! 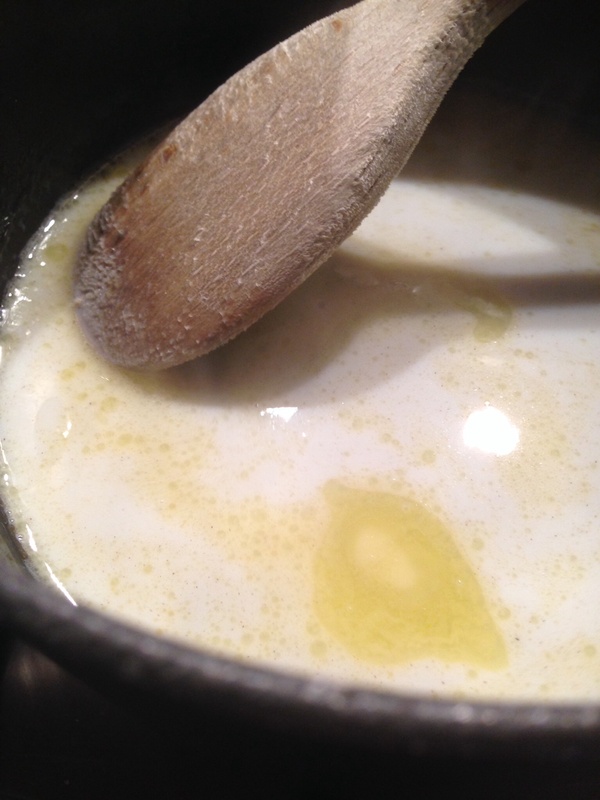 Once the butter had melted and the milk was warm I added the egg. So now it’s says to remove from the heat as soon as the mixture starts to thicken, so I did that.. It then took another few minutes for the heat from the pan to cook the eggs. Even then it still just looked a bit to gloopy and undercooked for me.. I was sooo tempted to stick back over the heat for a bit longer but thought I should really trust the recipe and try it! I was having this on a toasted bagel and it all just looks a but sloppy..
Well I can’t say I loved this! The texture really just doesn’t appeal to me at all!! Taste wise it’s ok but that’s maybe because I added an extra grind of salt and pepper!! 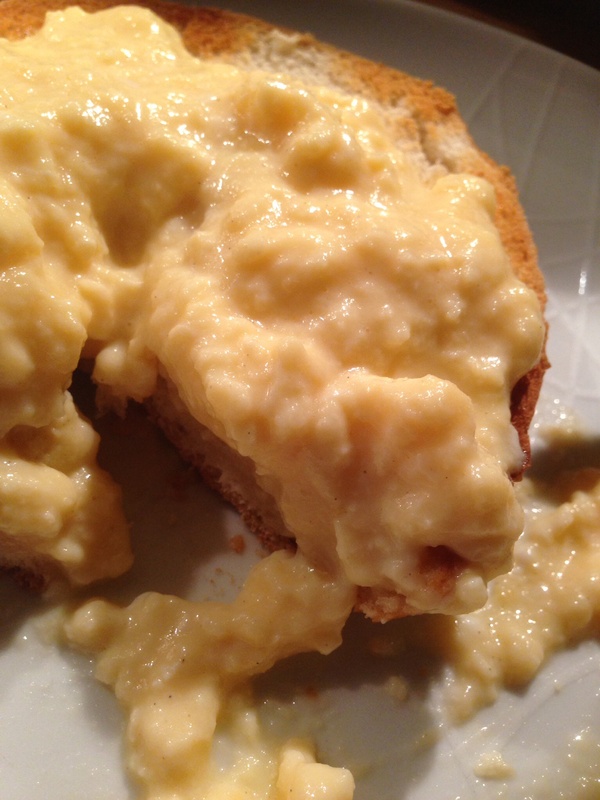 I didn’t eat it all and have to say I did particularly enjoy these scrambled eggs. Would I make this again? 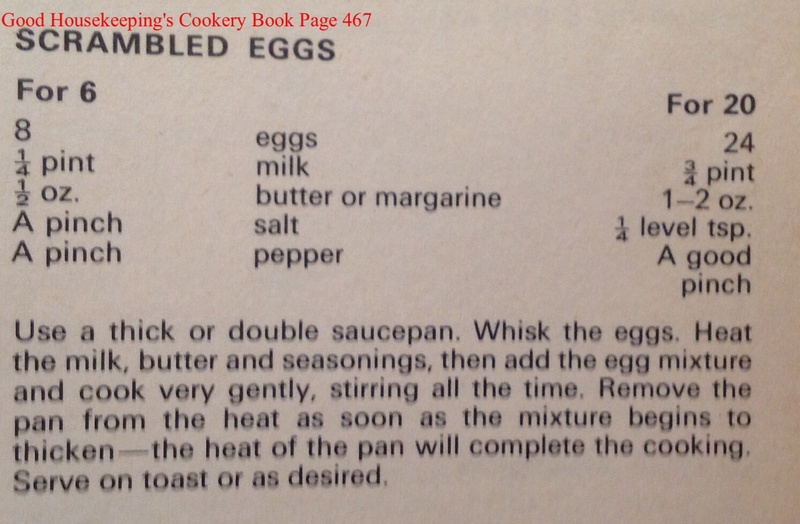 Doubtful, still my least favourite egg recipe.. This does not sound like a very exciting dinner and it doesn’t look like much either! 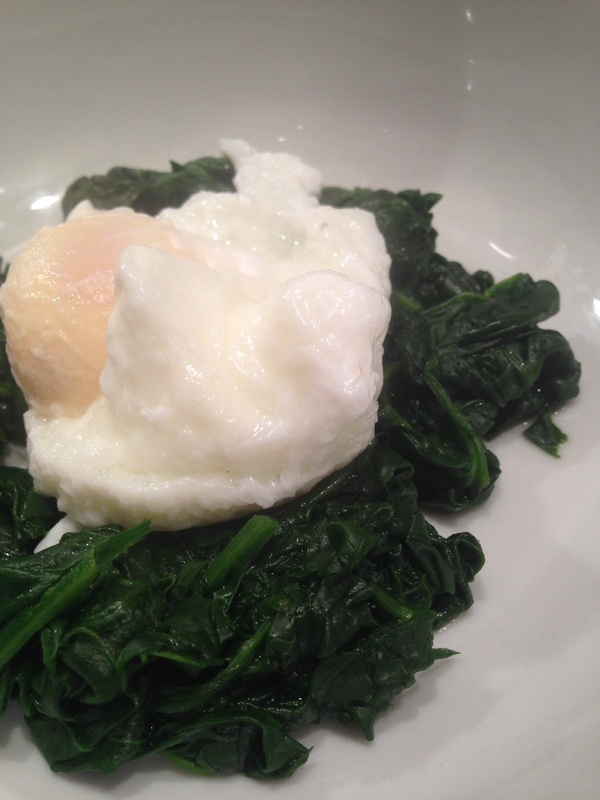 I used to find it a bit annoying that I didn’t like eggs; they’re low fat, cheap and quick to cook in various ways. 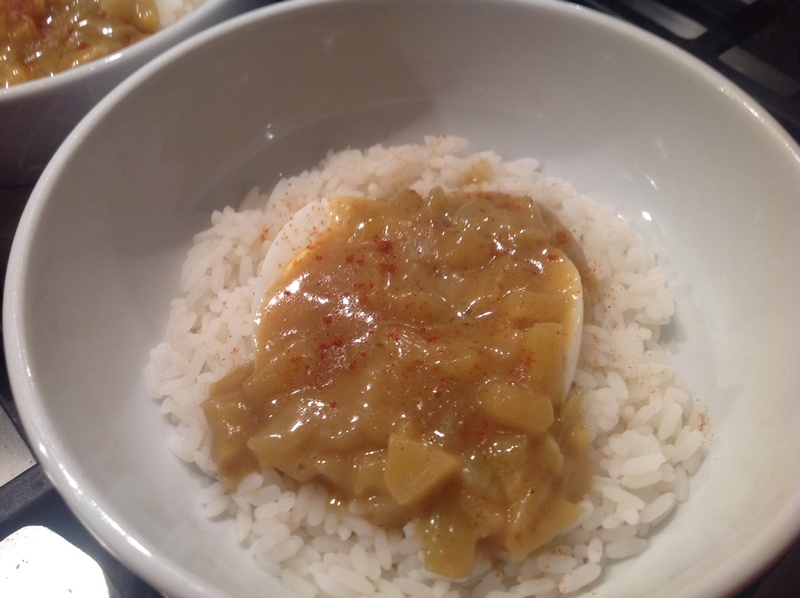 I’m still not loving basic egg dishes but I actually thought I may enjoy this due to the fact that the egg is getting smothered in a curry sauce!! 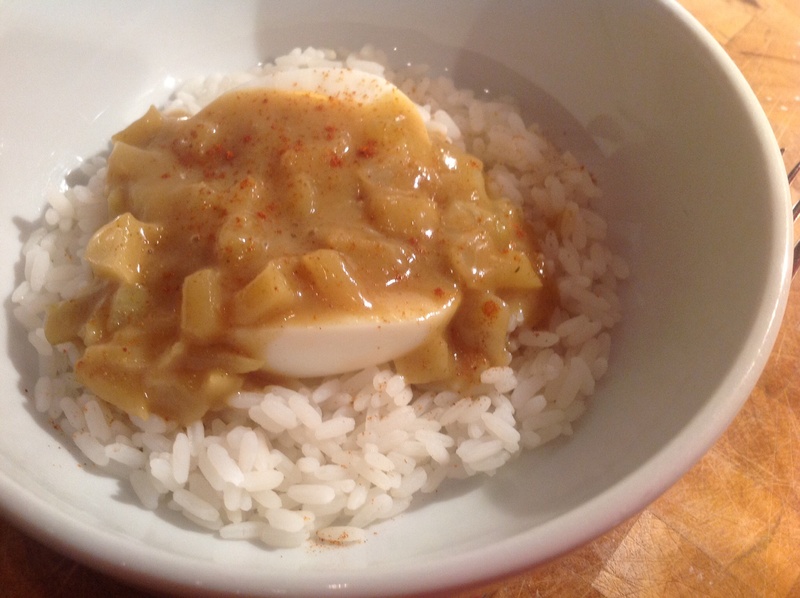 The sauce is quite a typical curry sauce for this book, although I’m surprised there’s no raisins or sultanas thrown in! 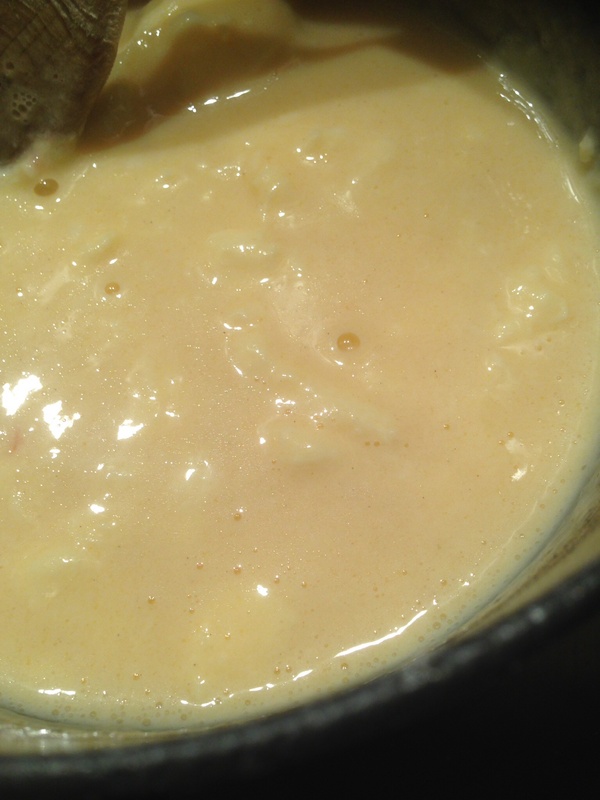 I was halving this and found that the sauce thickened very quickly..
After simmering for only 10 minutes the sauce was starting to stick to the bottom of the pan, so I added a touch more water. 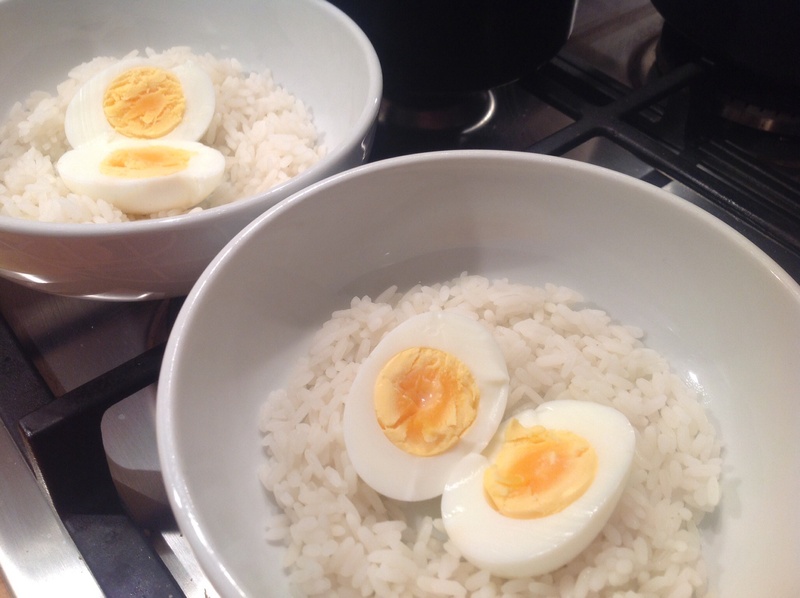 Making rice and boiling an egg isn’t exactly very taxing!! I had opted to make individual positions just for the two of us. The sauce doesn’t look very appealing and yet again I think my photos are such a disappointment! Think I’m going to start using props to make the food I cook look better! Anyway I did sprinkle with paprika but had to omit the parsley, my stash in the garden has pretty much been used up! So this was dinner and I have to say it really was a rather tasty dinner! I was so surprised how much I enjoyed it! The sauce is great, nice and thick with a really intense flavour. 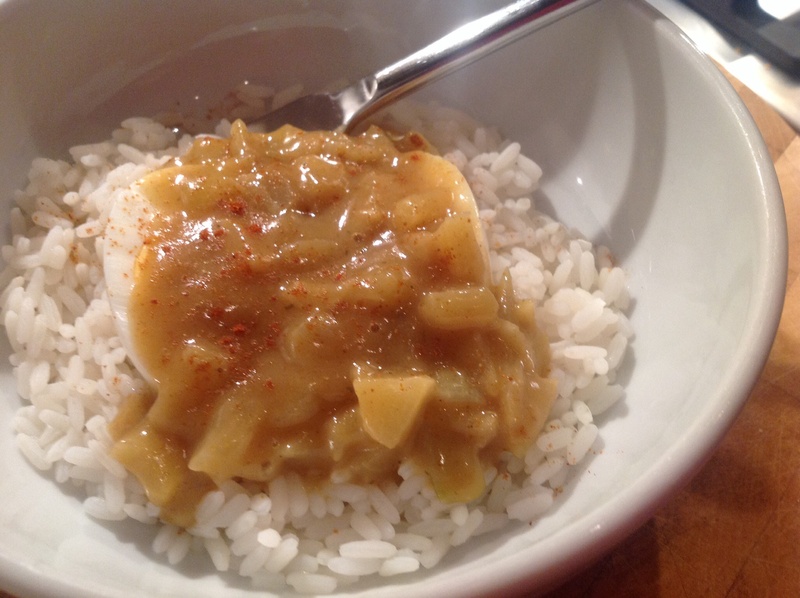 I guess the egg is just a vehicle for the sauce, but this is a really low cost dinner and good for those days when there’s now much left in the cupboards! Would I make this again? Yes I would!! When I started this whole thing I hated eggs!! 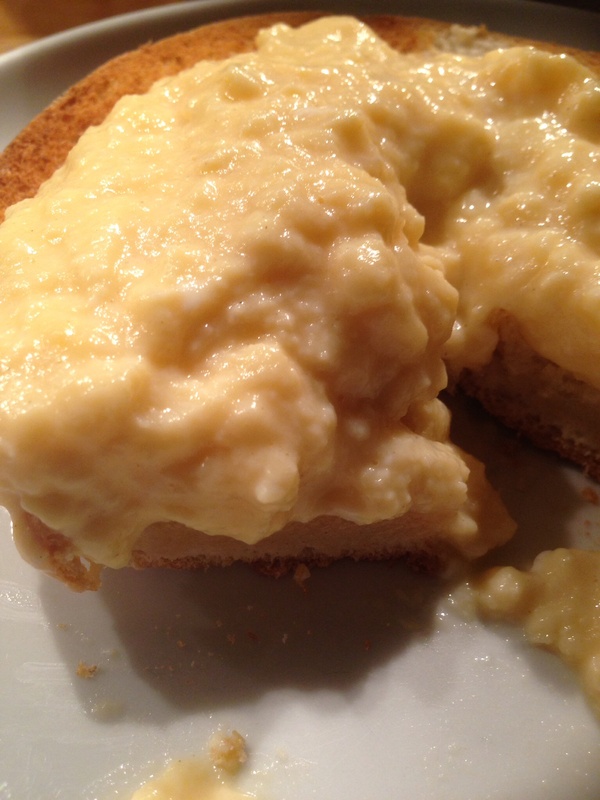 I can’t say I love them now but have enjoyed a few of the egg recipes. Still not sure if I’d thank you for a plain boiled or fried egg! 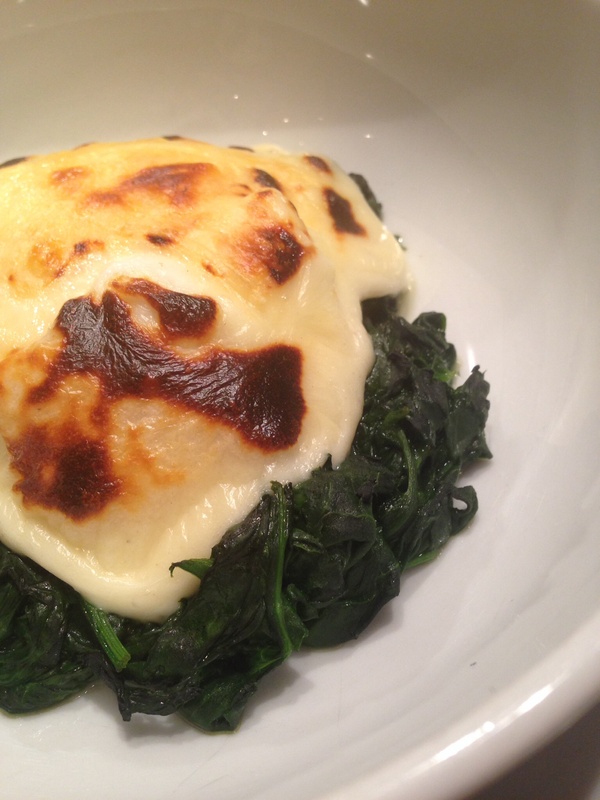 I love spinach and cheese sauce so thought this would make a nice simple dinner.. 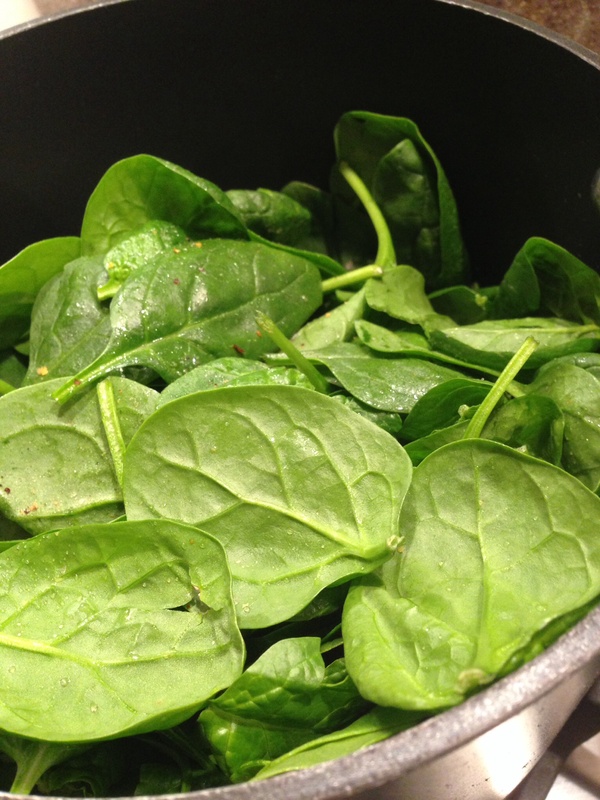 I had bought a large bag of spinach and assumed that would be enough for half the recipe, it turned out it was only 200g which is not even half a pound!! It looked like loads in the pan..
Then after 10 minutes it looked like next to nothing! 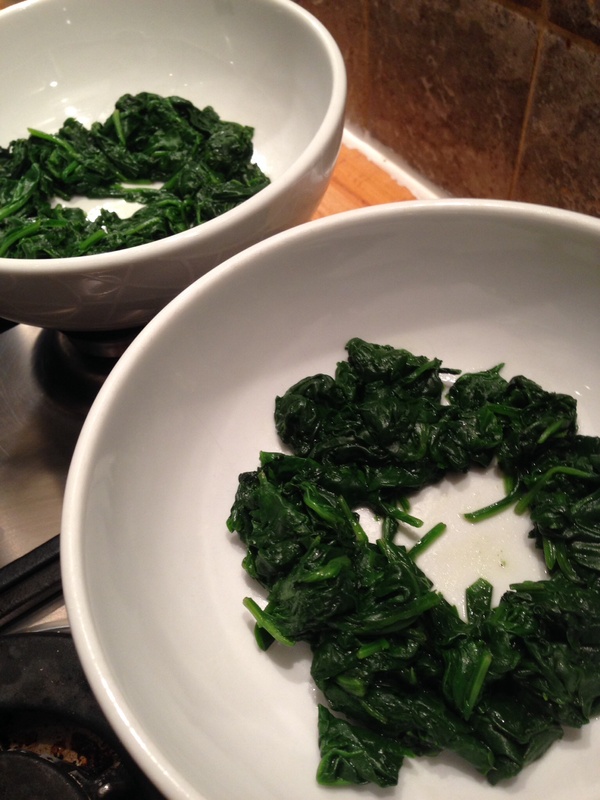 So the spinach bit is easy, I just don’t have enough, and then the cheese sauce is easy. It’s the poached egg I wasn’t sure about! There is a section in the book that gives advice on how to poach an egg. It says to add vinegar and salt to the boiling water to help the egg keep it’s shape and for flavour. I think I have as many varieties of vinegar as I do of salt, but opted for a cider vinegar. Then it says to put a pastry cutter in the pan and break the egg into that. That seemed to work quite well and the egg did keep it’s shape. Reckon I had the eggs cooking for about 5 minutes. So then I assembled the dish. I decided to make individual dinshes. 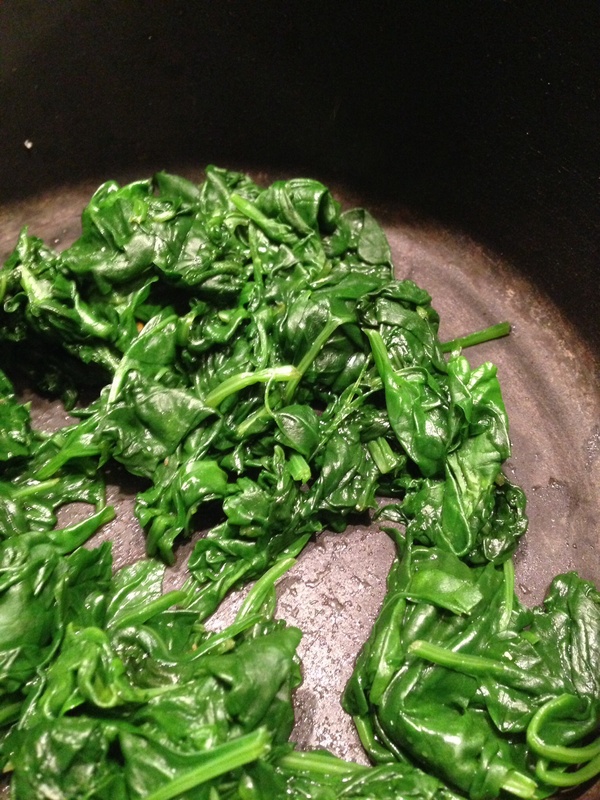 First in was the spinach which looked like nothing!! Then I put the poached eggs on top.. I had this under the grill for only about 2 minutes before it was staring to get very browned in some places. 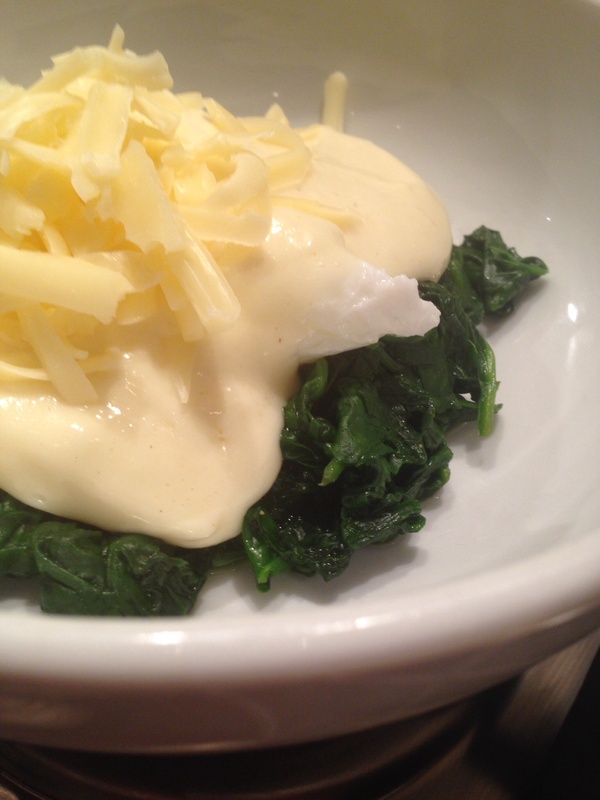 As I said I do love spinach and a good cheese sauce, it’s just the egg I’m not sure about. 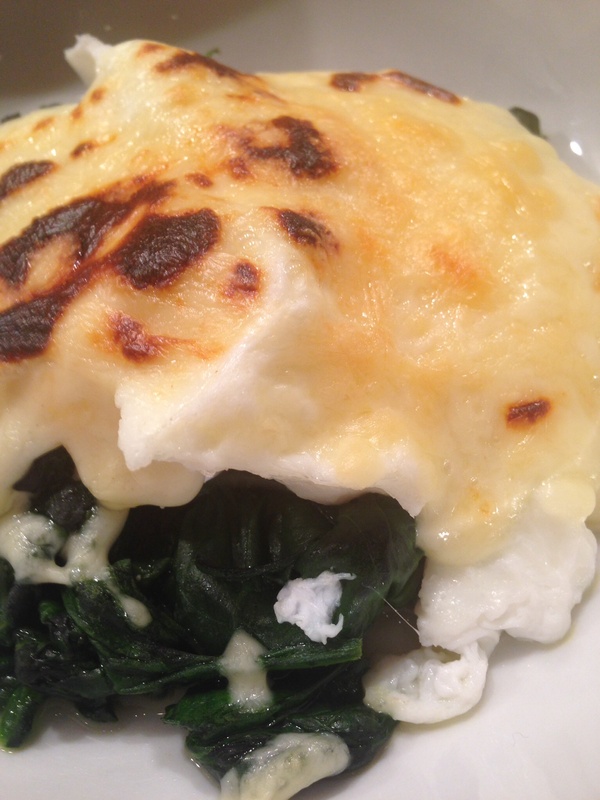 Altogether as a dish this is lovely, the spinach is soft and buttery and the cheese sauce is actually quite pleasant with the egg. I have no idea if adding the vinegar to the poaching liquid actually makes a differnce! Anyway we both enjoyed this but perhaps it’s more of a breakfast or lunch!! Would I make this again? Yes actually I would! This is one of these bizarre recipes that is like something that’s made up with what’s left in the fridge, I kind of like these kind of recipes.. I halved this recipe for the three of us and this first stage was pretty standard. 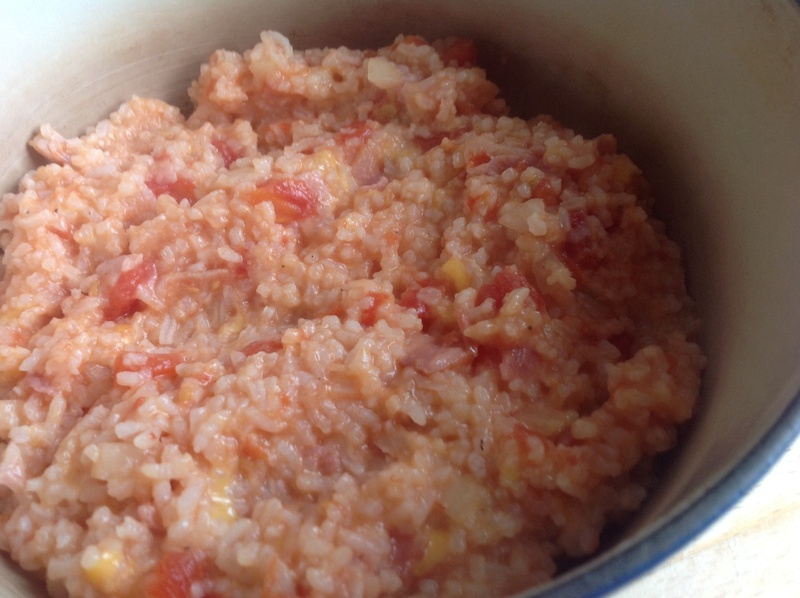 Then adding the cheese to the rice, bacon mix was a bit unusual. 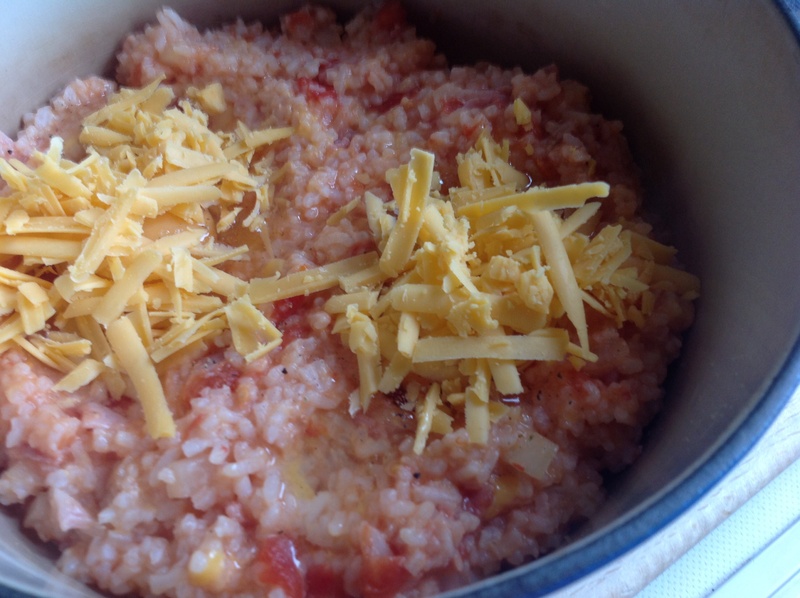 I don’t often have cheese and rice together that I can think of! It wasn’t looking terribly appetising at this point.. So I then made indentations in the mix and very carefully cracked the eggs in, they did run out a bit but mostly stayed in the holes..
It’s starting to look a bit weird at this stage and kind of reminiscent of the minced meat with poached eggs I made earlier this year. 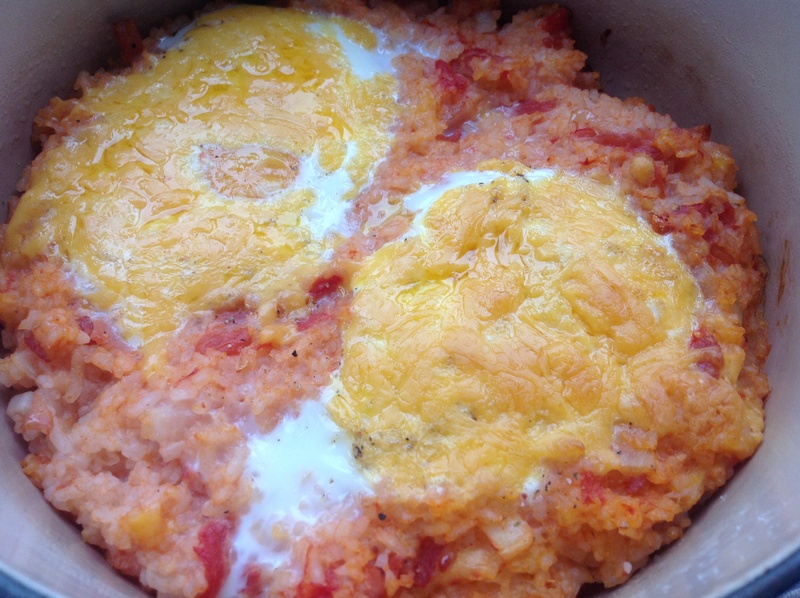 Then I just put the cheese over the eggs rather than all over the rice..
Well I have to say I really enjoyed this!! It’s not exactly a gourmet dish but it’s good fun and I thought tasted great! 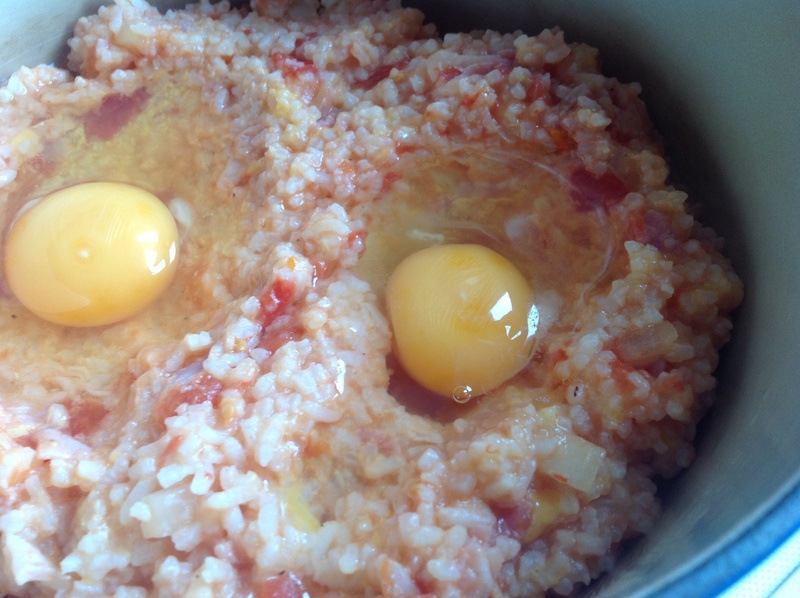 The rice is pretty soft after boiling then baking in the oven and the egg is pretty set and I actually think it would be nicer with a softer yolk that mixes into the rice a bit. Overall though I did like this, can’t say the other two enjoyed it as much as me!